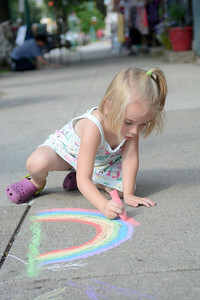 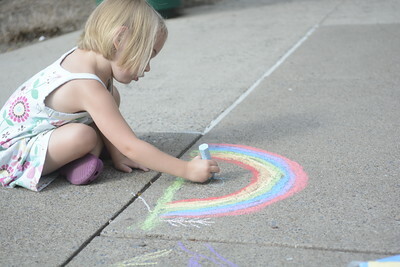 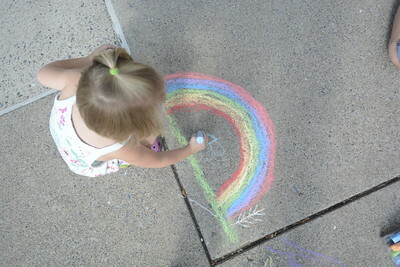 Adalayde Bobinis, 5, Lewisburg, colors a rainbow on a sidewalk in Lewisburg on Friday evening during the annual Chalk Festival. 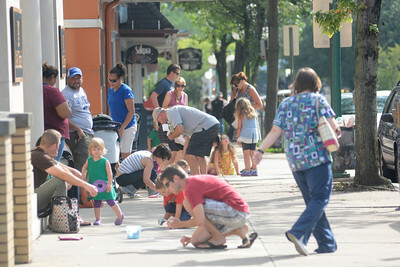 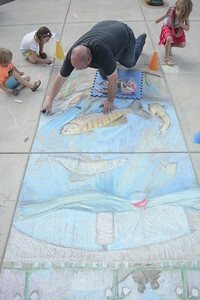 Crowds of people came to to participate and watch the Sidewalk Chalk Festival in Lewisburg on Friday evening. 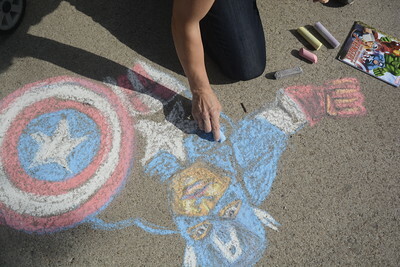 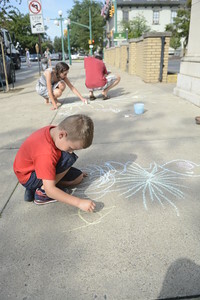 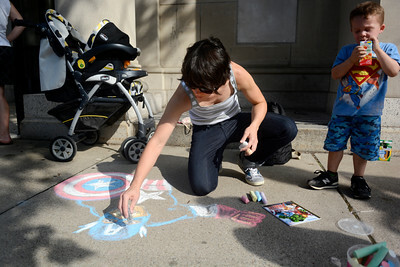 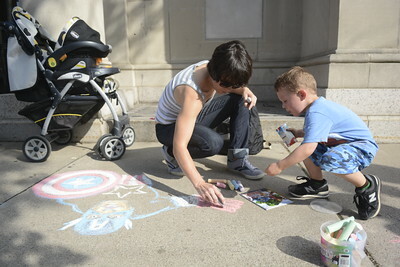 Brianne Croteau draws Captain America under the watchful eye of her son Oliver, 3, Lewisburg, while participating in the annual Sidewalk Chalk Festival in Lewisburg on Friday evening. 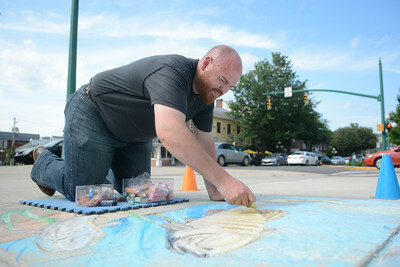 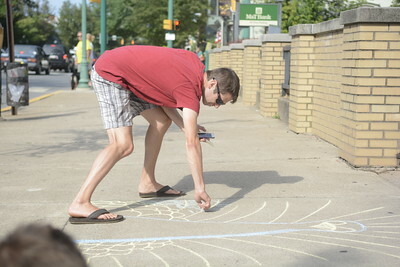 Featured artist David McSween of Lewisburg works on his drawing for the Sidewalk Chalk Festival in Lewisburg on Friday evening.